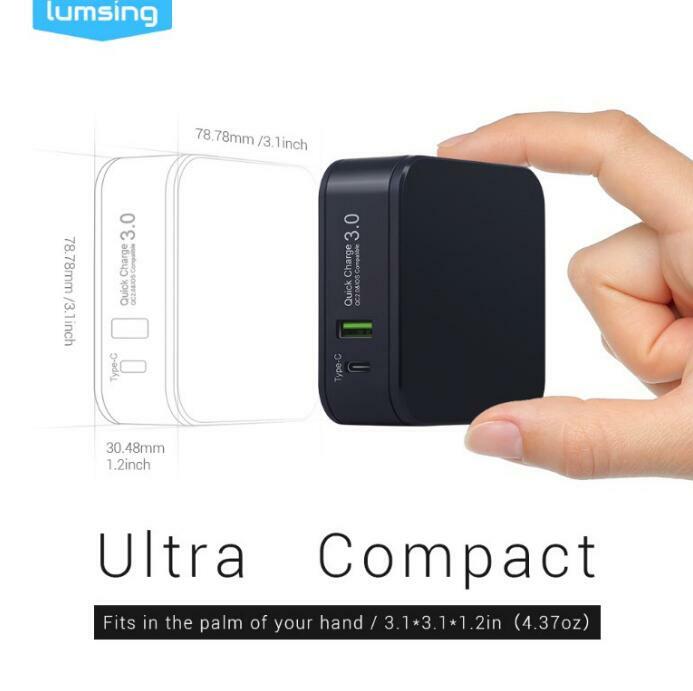 This wall charger is very compact. Have a look at that attached image there to see that it fits comfortably between your thumb and index fingers. The wall prongs fold up inside of the unit for even more compact efficacy. 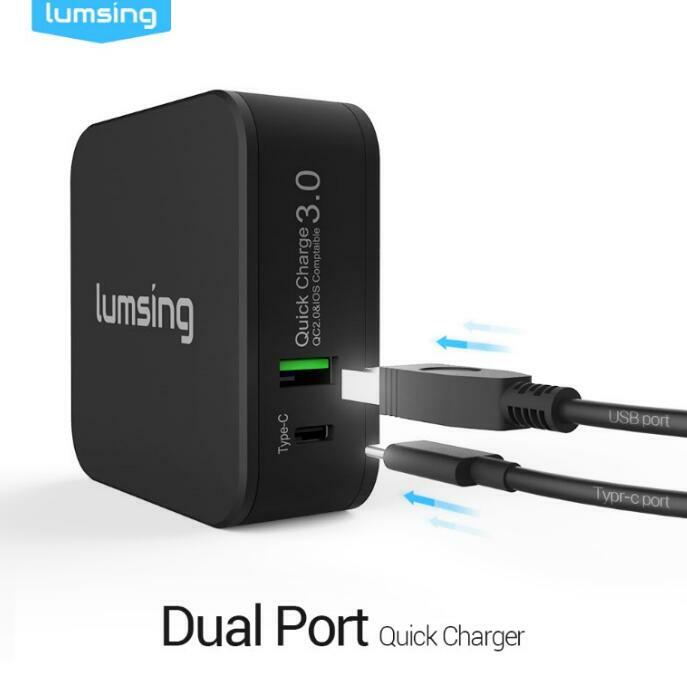 The Lumsing 3.0 is (so far) the only one of its kind. It has dual chargers. One is the QC3.0 output (QC3.0 compatibles) and it charges in minutes. That's right. Minutes. Not hours. The second charger if for Type-C devices and is also super fast. For the buck, it's an outstanding buy. It's easy to use. Not super huge. Fits easily in your pocket, purse or backpack. 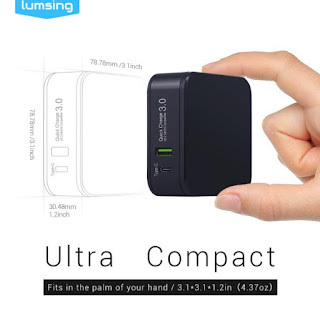 The Lumsing 3.0 will retail for $49.99 and is available now, in both black and white. Lumsing sells power banks, chargers and cables for smartphone and tablets via Amazon. Their products are designed to keep you connected and stress-free so that you can focus on friends, family, travel, business, exercise and all the other things that come together to form a healthy and happy life. They have been in business since 2011.